Do you miss the smell of northern air? The fresh scent of the wind as it rushes past coal miners? The feel of someone saying "t" instead of "the" as it brushes through your hair? Well miss it no more: You can now buy pots of northern air for £1 per pot. The air, mined and sealed in a garden in Bridgnorth, Lancashire, are now on sale on eBay. So if you're a northerner who misses the smell of back home, or just a Londoner who wonders what "no pollution" feels like in your lungs, you can get some within a matter of days. So if you're reading this trapped in an air-tight container in some sort of James Bond scenario and were thinking of ordering some, don't bother. You'll be long dead by the time it arrives. We wish you luck. The company selling the air, Fun Favours, has sealed it using the machinery from her previous business selling alcoholic jelly. 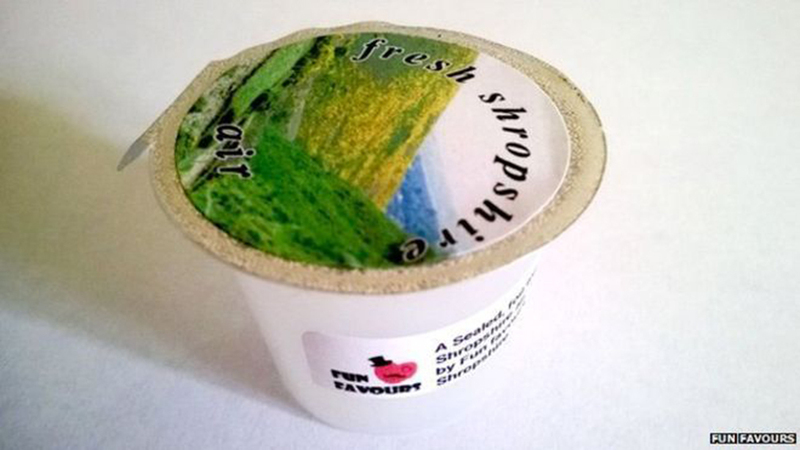 Rachel Moorcroft, the owner, says she "lovingly harvests" the air and wants to bring expats "their own bit of Shropshire in a pot"
If you're wondering the most anyone has ever paid for air, Chinese artist Liang Kegang sold a jar of French mountain air from Provence for £494. Though we suspect the jar was worth a few quid, placing the real price of the air at around £492. Ms Moorcroft said selling the air was "just a bit of fun". Many southerners are expected to buy the product, with each hit of sweet northern air expected to add years to their life expentency and vastly improve their quality of life. Newcastle have yet to confirm whether they'll be selling their own competitive "proper northern" air.